* Please note Chester YHA is now CLOSED unfortunately. On paper, today’s route although not very scenic and very busy, seemed to be fairly straight forward. 85 miles and around 5700ft of ascent – easier than first day in Cornwall. However we all “bonked” towards the end which we initially blamed on the fact that all the hills were in the last 30 miles. Further analysis later in the pub however identified the problem. Food! Not the fact we didn’t eat enough and ran out of energy, but the opposite. Half a cooked chicken, naan bread, fruit and a smoothie at lunch meant the body said sod your legs, digesting this food will take me the rest of the afternoon! Lesson learnt, food little and often!. My knee although not giving the sharp pain of yesterday was still sore and concerning me that I might not make it to the end. A highlight just before Slaidburn however was peaking the highest speed of the tour so far, 49.1mph. Keith also hit a bump at around 45mph sending another of his rear lights into many pieces and oblivion. 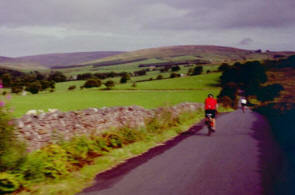 The day had been not our most picturesque, but as we left Blackburn, the beauty and peace of the countryside returned. When we got to Slaidburn YH there had been a booking mix-up meaning they didn’t have us booked in. Luckily they had a spare room anyway but then they told us a main had burst therefore no water. I’m not sure if this was bad news for them or us as not being able to wash or shower would be very unfortunate for any poor individual who would have to share a room with us all. Fortunately we had a room to ourselves which has now been sealed in the interest of public safety and hygiene. Anyway, looking on the positive side the pub over the road was open serving rather good food and beer, and we had now notched-up a total of 500 miles so that was something to celebrate! Celebrations were short lived however as we were so knackered, that by 8:30pm we were all in bed asleep. Food – Well as above we learnt to not stuff ourselves at lunchtime and to eat little and often. We ate breakfast at the YHA which was just about OK, and found a supermarket for our lunch. Our evening meal at the pub in Slaidburn was excellent. The Route – The area was very built up and we followed the CTC YHA route today to pick our way through the traffic. The route was about as good as it could be in this area I imagine. Once you get past Blackburn however the scenery and peace of the countryside returns and the final route into the lovely village of Slaidburn is hilly but pleasant. The YHA at Slaidburn is one of the smaller hostels we’ve been to and probably one of the best so far. 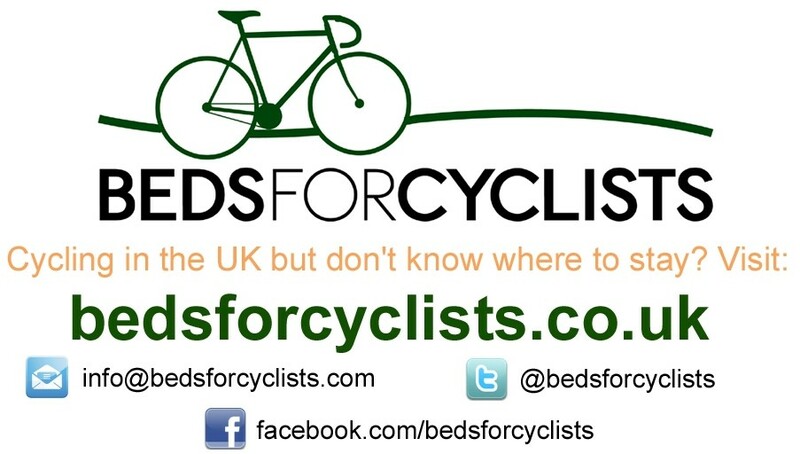 Very friendly, quiet, an undercover and locked cycle shed and opposite the pub with good beer and food. What more could you ask? The approximate route we followed for Day 7 is listed below (1:50 000). Left Chester YHA and headed out along busy roads (A5115) towards ring road. Passed under A55 and turned L onto lane Christleton.(NCR45). L in Waverton along lane towards Brookdale Farm and Tarvin where R onto A54. L on B5393 through Ashton. Before railway station turn R towards Delamere Forest park. Straight across B5152 at Hatchmere joining the B5153 at Cooksongreen where R. Turn L on lane at Milton Farm towards Acton Bridge. Join A49 where it crosses the River Weaver and follow to M56 J10. Cross Motorway and R on B5356. Cross M6 J20 and on to B5158 at roundabout. R on A6144 at Lymm before L at B5159 and follow toll road (no toll payable for cycles) to A57 where R. L on B5212 to Culcheth where R on A574 towards Leigh. In Leigh L on to A578 and R on to B5215 and turn L onto B5235 towards Westhoughton. Cross the A6 and M61 to Chew Moor. Pass the railway station at Lostock Junction and join the A58 where L. Follow A58 north and turn L onto B6402. Cross the B6226 and carry on to the A675 where L to Belmont. Take R off A675 just after Old Man’s Hill and follow lane to Ryal Fold and Tockholes. Cross the M65 and carry on into Blackburn. R at A6062 and L on to A666. Follow A666 through the Blackburn one way system and out to Wilpshire. At roundabout with A59 take the 3rd exit minor road (not A59) to Whalley. In Whalley take L on B6246. Pass Great Mitton and R on to B6243. At R hairpin in B6243 take lane straight on towards Bashall Eaves. Take L fork in Bashall Eaves towards Cow Ark. In Cow Ark turn R on lane and then R again after 400 Metres following lane past Marl Hioll to Longstripes. Where lane joins B6478 turn L to Newton and Slaidburn.